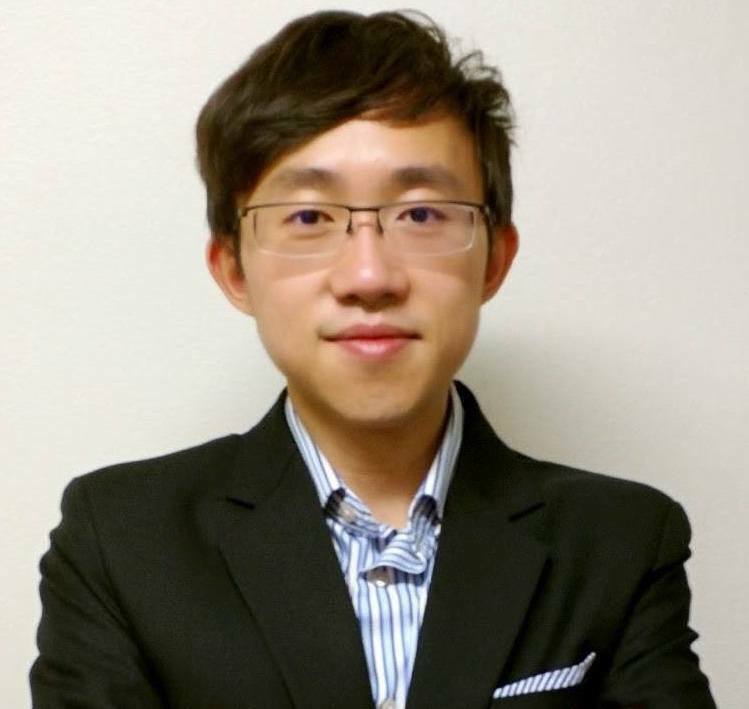 →How a “Funnel” Can Help You Recruit 300 Reps? Today, I want to cover this really important concept called a "funnel". What is a funnel? It's not the funnel that you use to make your coffee! This funnel is going to help you recruit a lot of reps or help you to generate a lot of customers in your company. 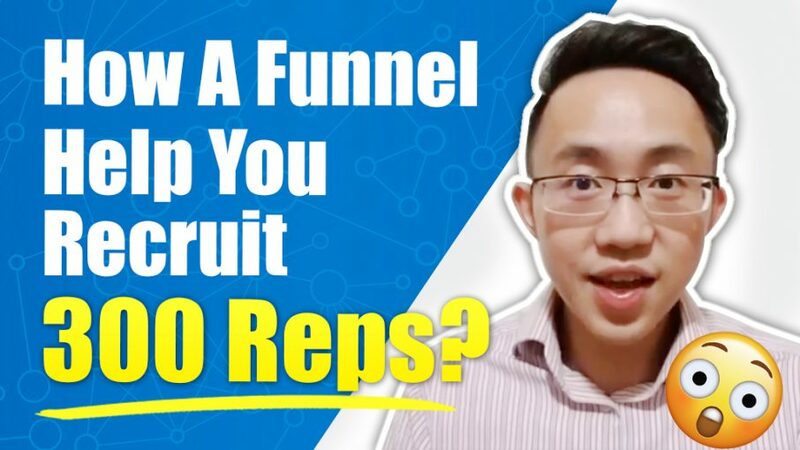 In this episode of Benjamin Pang LIVE, I'm going to share with you how a funnel CAN help you recruit reps and customers. If you want to work smart, check out this Attraction Marketing Formula course that will teach you how to recruit more reps using less time, without spending or wasting time by using a Funnel! Not able to watch the video now? Keep reading to learn more! By definition a funnel is a set of steps a customer or a rep needs to go through before they buy or sign up with you. Think about how you came across Amazon or a product on Amazon. It probably starts with a search on Google for what you want to buy, let's say a TV. In the Google results, you probably see Amazon pop up and tell you there's a great TV on sale for $500 bucks, a 60 inch TV, the exact one you want. You click on the link and you land on Amazon's website. Amazon's website is going to show you information about the TV. Maybe it's going to show you there's a extra discount if you buy today. You may or may not buy yet. BUT you might sign up for an account or you might add the TV to a wishlist, and then after a couple of days, you might come back. You may receive emails from Amazon reminding that you have an item on your wishlist or shopping cart. Then you're like, "Ah the deal's almost over, let me buy it." There's an urgency over there and bam, you made the purchase! Was the creator of Amazon's website or the CEO of Amazon literally serving you 24/7? Were they there sending you the email personally? No. You know that there's some type of technology that helped them to follow up with you. Maybe you go to YouTube and then it shows you a video about that TV again. You're like, "Hey, YouTube knows I just went to Amazon." This is the type of stuff that you can do online with the concept of a funnel. How Does the Funnel Help You? People are searching for a certain type of weight loss product, not by name, but maybe by the ingredient. Then your website shows up because you have been blogging about this ingredient. This ingredient is going to help with weight loss, help trim fat really fast, and other benefits, and NOW they are reading your website! At the end of your website, you're going to let them input their information so that you can send them a coupon or some more information about a product with this ingredient that's going to help them to lose 10 pounds in five weeks. After they give you their contact information, of course, you've got to have a system to send them emails to follow up. Keep in mind the entire system, I'm sure you understand by now, this system that you're setting up, it's automatic. It works with or without you, 24/7. Use the Funnel for Prospecting & Recruiting! Imagine you are prospecting 24/7 BUT without going out to networking events, without calling people to follow up! You can leverage the system to not just generate customers but also recruit reps into your team. Because it's online 24/7, you can even scale it and that's how top earners recruit like hundreds of reps and build a team with like thousands of people without a sweat. They literally don't have to go out of their home. They leverage the internet to build this team. And it's by leveraging this system or this concept called a "funnel". I have included access to my Attraction Marketing Course to help you learn more about how you can use a funnel to build your company and to generate more customers! It's going to really help you to revolutionalize your way of thinking about how you can build your network marketing business. A year ago, in 2017 I invested a lot of time into learning how top earners build their team or generate customers using the concept of funnel, and now I am able to do it myself. In seven weeks I built a team of 300 people. Imagine that, just seven weeks. If you are eager to learn how top earners do it, make sure to check out the Attraction Marketing Course. If you can learn how to just recruit ten more partners a month or just generate ten new customers in a month, it's going to change your business completely. I'm sure a lot of leaders are going to switch to this concept and move on from just doing home parties and hotel meetings because those are time-consuming. Everybody is using the internet. Everybody is looking at Facebook or using their cell phone all the time, so why not invest time to build an online system? An online system - a funnel - that puts your business or you or your brand in front of their face, on their phone 24/7? The Attraction Marketing Course will help you build this system, this funnel to recruit new reps and customers! Is this helpful? Now you will know how to use a funnel to help recruit reps!